Whether you are interested in a standard RO model, or a custom model, be assured that the components in our system are of the highest quality. 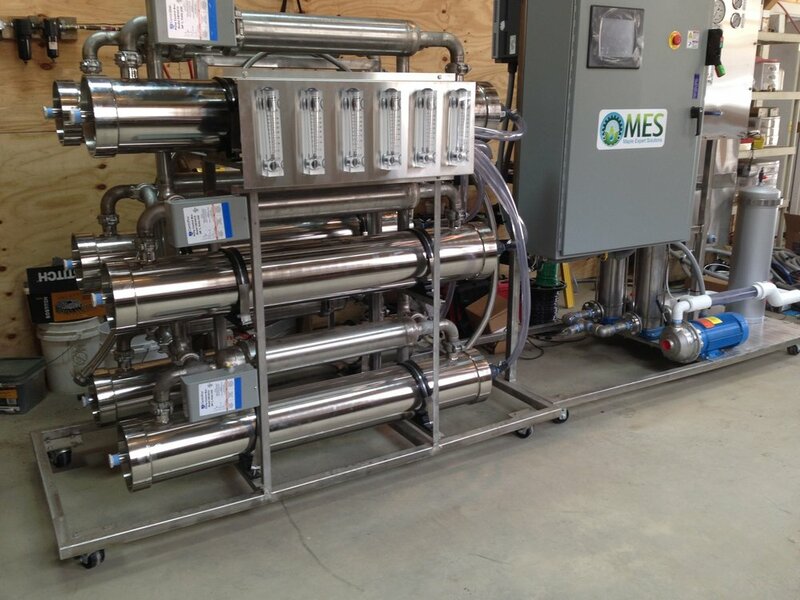 From high quality, off the shelf pump solutions to hoses and fittings, most any piece and part on our RO skids can be replaced from a standard supplier. Our goal was to design and build a product such as a domestic automobile that can be fixed with off the shelf parts. We understand that things break from time to time and the ease of availability is crucial to keep a well oiled maple operation functioning. What are the flow rates? DOLLY is rated by what the pressure pump can do at 200 PSI. If you operate the pump at a lower pressure you will get more flow and if you operate at a higher pressure you will get less flow. Truth be told that we use the same pump that our competitor's use. Why are the competitor's units rated at 250 GPH when the pump can only do 225 GPH? Its still a mystery to us! We purposely put a 225 GPH pump on the DOLLY 100. We did this because the DOLLY 100 gets you started and in most cases producers of this size will expand quickly. To make a DOLLY 100 into a DOLLY 225 all you need to do is add another membrane. We even have the holes pre-drilled for you! Any number of 16 inch membrane configuration from 1 to 6 membranes. Complete operating system, single or 3 phase input using Variable Speed Drives to convert to use 3 phase pumps. Process monitoring, sugar and pressure control, and remote access using smart phone or home computer.